Being the sour beer fan I am I think this is the perfect summer beer. 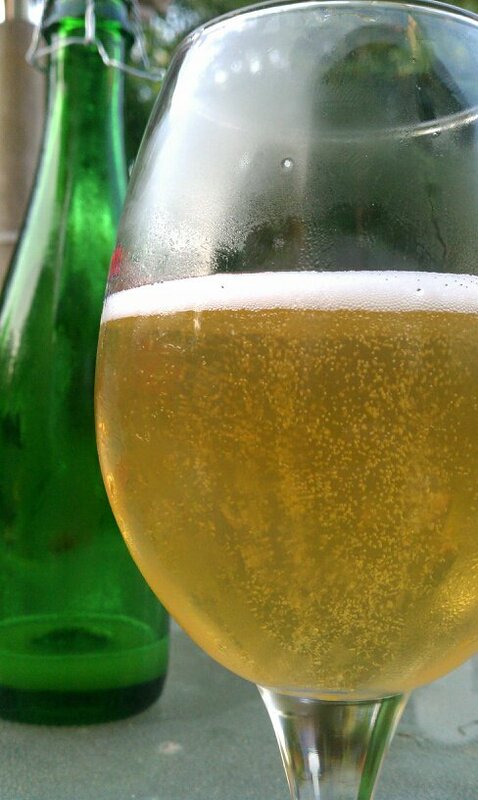 Berliner Weisse beers are a refreshing low alcohol (around 3%) sour wheat beer. They are very high in carbonation and the finishing taste is very dry. Traditionally this style is not boiled before fermentation as to keep the already present natural souring bacteria Lactobacillus alive. This is a bottle of the Berliner Weisse I brewed in July 2010 that aged in the primary carboy until January 2011. In April of 2011 this beer took second place in the sour category at the National Homebrewing Conference 1st round. It was a basic Pilsner/Wheat malt base with Saaz hops in the mash and Wyeast 3191PC yeast blend then turned out very nice.